Your Search Results for "Colour Herbs"
We found 382 items that matched your search. 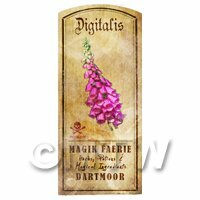 Product ID: 15177 This Herb label is part of our vast range of apothecary, Magic and Herb range.Each label in this range is designed, aged and printed by us producing highly detailed unique miniatures that make any scene look special.This label is printed on photo quality self adhesive vinyl allowing you to apply this miniature label to any miniature with the minimum of fuss. 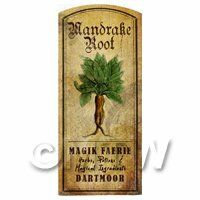 Product ID: 15178 This Herb label is part of our vast range of apothecary, Magic and Herb range.Each label in this range is designed, aged and printed by us producing highly detailed unique miniatures that make any scene look special.This label is printed on photo quality self adhesive vinyl allowing you to apply this miniature label to any miniature with the minimum of fuss. 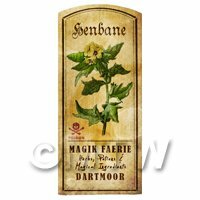 Product ID: 15179 This Herb label is part of our vast range of apothecary, Magic and Herb range.Each label in this range is designed, aged and printed by us producing highly detailed unique miniatures that make any scene look special.This label is printed on photo quality self adhesive vinyl allowing you to apply this miniature label to any miniature with the minimum of fuss. 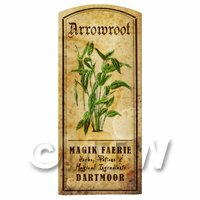 Product ID: 15180 This Herb label is part of our vast range of apothecary, Magic and Herb range.Each label in this range is designed, aged and printed by us producing highly detailed unique miniatures that make any scene look special.This label is printed on photo quality self adhesive vinyl allowing you to apply this miniature label to any miniature with the minimum of fuss. 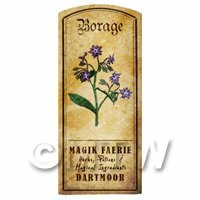 Product ID: 15181 This Herb label is part of our vast range of apothecary, Magic and Herb range.Each label in this range is designed, aged and printed by us producing highly detailed unique miniatures that make any scene look special.This label is printed on photo quality self adhesive vinyl allowing you to apply this miniature label to any miniature with the minimum of fuss. 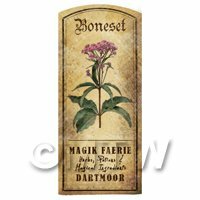 Product ID: 15182 This Herb label is part of our vast range of apothecary, Magic and Herb range.Each label in this range is designed, aged and printed by us producing highly detailed unique miniatures that make any scene look special.This label is printed on photo quality self adhesive vinyl allowing you to apply this miniature label to any miniature with the minimum of fuss. 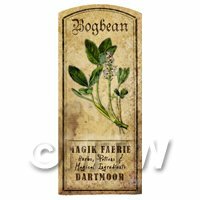 Product ID: 15183 This Herb label is part of our vast range of apothecary, Magic and Herb range.Each label in this range is designed, aged and printed by us producing highly detailed unique miniatures that make any scene look special.This label is printed on photo quality self adhesive vinyl allowing you to apply this miniature label to any miniature with the minimum of fuss. 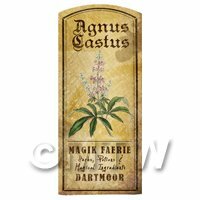 Product ID: 15184 This Herb label is part of our vast range of apothecary, Magic and Herb range.Each label in this range is designed, aged and printed by us producing highly detailed unique miniatures that make any scene look special.This label is printed on photo quality self adhesive vinyl allowing you to apply this miniature label to any miniature with the minimum of fuss. 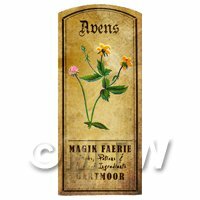 Product ID: 15185 This Herb label is part of our vast range of apothecary, Magic and Herb range.Each label in this range is designed, aged and printed by us producing highly detailed unique miniatures that make any scene look special.This label is printed on photo quality self adhesive vinyl allowing you to apply this miniature label to any miniature with the minimum of fuss. 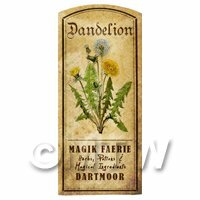 Product ID: 15186 This Herb label is part of our vast range of apothecary, Magic and Herb range.Each label in this range is designed, aged and printed by us producing highly detailed unique miniatures that make any scene look special.This label is printed on photo quality self adhesive vinyl allowing you to apply this miniature label to any miniature with the minimum of fuss. 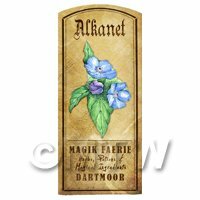 Product ID: 15187 This Herb label is part of our vast range of apothecary, Magic and Herb range.Each label in this range is designed, aged and printed by us producing highly detailed unique miniatures that make any scene look special.This label is printed on photo quality self adhesive vinyl allowing you to apply this miniature label to any miniature with the minimum of fuss. 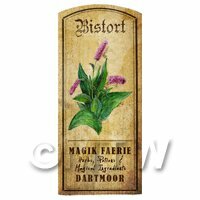 Product ID: 15188 This Herb label is part of our vast range of apothecary, Magic and Herb range.Each label in this range is designed, aged and printed by us producing highly detailed unique miniatures that make any scene look special.This label is printed on photo quality self adhesive vinyl allowing you to apply this miniature label to any miniature with the minimum of fuss. 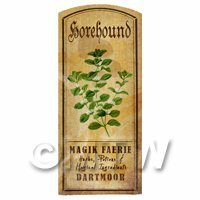 Product ID: 15189 This Herb label is part of our vast range of apothecary, Magic and Herb range.Each label in this range is designed, aged and printed by us producing highly detailed unique miniatures that make any scene look special.This label is printed on photo quality self adhesive vinyl allowing you to apply this miniature label to any miniature with the minimum of fuss. 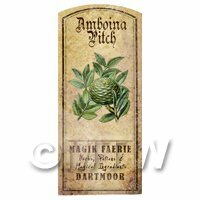 Product ID: 15190 This Herb label is part of our vast range of apothecary, Magic and Herb range.Each label in this range is designed, aged and printed by us producing highly detailed unique miniatures that make any scene look special.This label is printed on photo quality self adhesive vinyl allowing you to apply this miniature label to any miniature with the minimum of fuss. 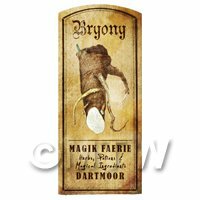 Product ID: 15191 This Herb label is part of our vast range of apothecary, Magic and Herb range.Each label in this range is designed, aged and printed by us producing highly detailed unique miniatures that make any scene look special.This label is printed on photo quality self adhesive vinyl allowing you to apply this miniature label to any miniature with the minimum of fuss. 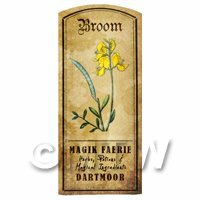 Product ID: 15192 This Herb label is part of our vast range of apothecary, Magic and Herb range.Each label in this range is designed, aged and printed by us producing highly detailed unique miniatures that make any scene look special.This label is printed on photo quality self adhesive vinyl allowing you to apply this miniature label to any miniature with the minimum of fuss. 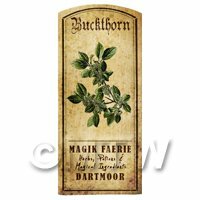 Product ID: 15193 This Herb label is part of our vast range of apothecary, Magic and Herb range.Each label in this range is designed, aged and printed by us producing highly detailed unique miniatures that make any scene look special.This label is printed on photo quality self adhesive vinyl allowing you to apply this miniature label to any miniature with the minimum of fuss. 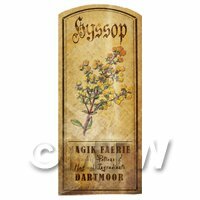 Product ID: 15194 This Herb label is part of our vast range of apothecary, Magic and Herb range.Each label in this range is designed, aged and printed by us producing highly detailed unique miniatures that make any scene look special.This label is printed on photo quality self adhesive vinyl allowing you to apply this miniature label to any miniature with the minimum of fuss. 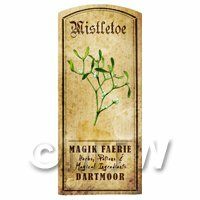 Product ID: 15195 This Herb label is part of our vast range of apothecary, Magic and Herb range.Each label in this range is designed, aged and printed by us producing highly detailed unique miniatures that make any scene look special.This label is printed on photo quality self adhesive vinyl allowing you to apply this miniature label to any miniature with the minimum of fuss. 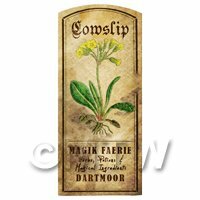 Product ID: 15196 This Herb label is part of our vast range of apothecary, Magic and Herb range.Each label in this range is designed, aged and printed by us producing highly detailed unique miniatures that make any scene look special.This label is printed on photo quality self adhesive vinyl allowing you to apply this miniature label to any miniature with the minimum of fuss. 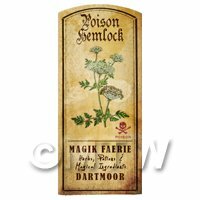 Product ID: 15197 This Herb label is part of our vast range of apothecary, Magic and Herb range.Each label in this range is designed, aged and printed by us producing highly detailed unique miniatures that make any scene look special.This label is printed on photo quality self adhesive vinyl allowing you to apply this miniature label to any miniature with the minimum of fuss. 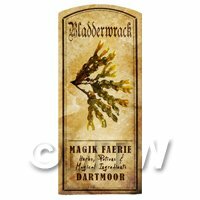 Product ID: 15198 This Herb label is part of our vast range of apothecary, Magic and Herb range.Each label in this range is designed, aged and printed by us producing highly detailed unique miniatures that make any scene look special.This label is printed on photo quality self adhesive vinyl allowing you to apply this miniature label to any miniature with the minimum of fuss. 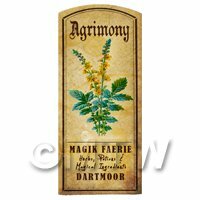 Product ID: 15199 This Herb label is part of our vast range of apothecary, Magic and Herb range.Each label in this range is designed, aged and printed by us producing highly detailed unique miniatures that make any scene look special.This label is printed on photo quality self adhesive vinyl allowing you to apply this miniature label to any miniature with the minimum of fuss. 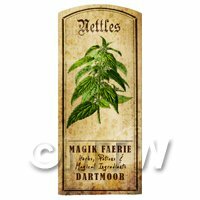 Product ID: 15200 This Herb label is part of our vast range of apothecary, Magic and Herb range.Each label in this range is designed, aged and printed by us producing highly detailed unique miniatures that make any scene look special.This label is printed on photo quality self adhesive vinyl allowing you to apply this miniature label to any miniature with the minimum of fuss. Product ID: 15201 This Herb label is part of our vast range of apothecary, Magic and Herb range.Each label in this range is designed, aged and printed by us producing highly detailed unique miniatures that make any scene look special.This label is printed on photo quality self adhesive vinyl allowing you to apply this miniature label to any miniature with the minimum of fuss. 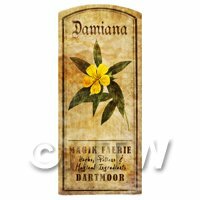 Product ID: 15202 This Herb label is part of our vast range of apothecary, Magic and Herb range.Each label in this range is designed, aged and printed by us producing highly detailed unique miniatures that make any scene look special.This label is printed on photo quality self adhesive vinyl allowing you to apply this miniature label to any miniature with the minimum of fuss. 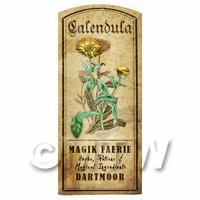 Product ID: 15203 This Herb label is part of our vast range of apothecary, Magic and Herb range.Each label in this range is designed, aged and printed by us producing highly detailed unique miniatures that make any scene look special.This label is printed on photo quality self adhesive vinyl allowing you to apply this miniature label to any miniature with the minimum of fuss. 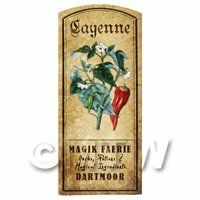 Product ID: 15204 This Herb label is part of our vast range of apothecary, Magic and Herb range.Each label in this range is designed, aged and printed by us producing highly detailed unique miniatures that make any scene look special.This label is printed on photo quality self adhesive vinyl allowing you to apply this miniature label to any miniature with the minimum of fuss. 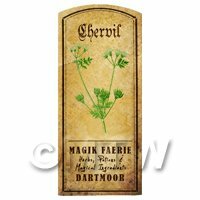 Product ID: 15205 This Herb label is part of our vast range of apothecary, Magic and Herb range.Each label in this range is designed, aged and printed by us producing highly detailed unique miniatures that make any scene look special.This label is printed on photo quality self adhesive vinyl allowing you to apply this miniature label to any miniature with the minimum of fuss. 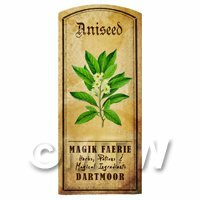 Product ID: 15206 This Herb label is part of our vast range of apothecary, Magic and Herb range.Each label in this range is designed, aged and printed by us producing highly detailed unique miniatures that make any scene look special.This label is printed on photo quality self adhesive vinyl allowing you to apply this miniature label to any miniature with the minimum of fuss. 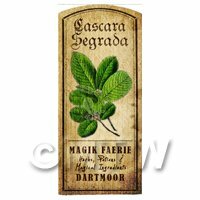 Product ID: 15207 This Herb label is part of our vast range of apothecary, Magic and Herb range.Each label in this range is designed, aged and printed by us producing highly detailed unique miniatures that make any scene look special.This label is printed on photo quality self adhesive vinyl allowing you to apply this miniature label to any miniature with the minimum of fuss. 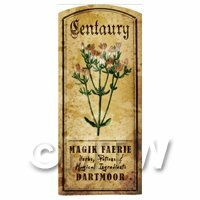 Product ID: 15208 This Herb label is part of our vast range of apothecary, Magic and Herb range.Each label in this range is designed, aged and printed by us producing highly detailed unique miniatures that make any scene look special.This label is printed on photo quality self adhesive vinyl allowing you to apply this miniature label to any miniature with the minimum of fuss. 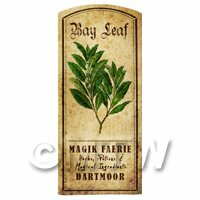 Product ID: 15209 This Herb label is part of our vast range of apothecary, Magic and Herb range.Each label in this range is designed, aged and printed by us producing highly detailed unique miniatures that make any scene look special.This label is printed on photo quality self adhesive vinyl allowing you to apply this miniature label to any miniature with the minimum of fuss. 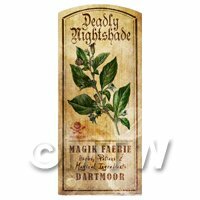 Product ID: 15210 This Herb label is part of our vast range of apothecary, Magic and Herb range.Each label in this range is designed, aged and printed by us producing highly detailed unique miniatures that make any scene look special.This label is printed on photo quality self adhesive vinyl allowing you to apply this miniature label to any miniature with the minimum of fuss. 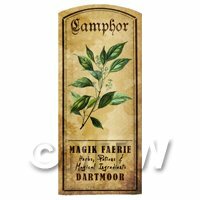 Product ID: 15211 This Herb label is part of our vast range of apothecary, Magic and Herb range.Each label in this range is designed, aged and printed by us producing highly detailed unique miniatures that make any scene look special.This label is printed on photo quality self adhesive vinyl allowing you to apply this miniature label to any miniature with the minimum of fuss. Product ID: 15212 This Herb label is part of our vast range of apothecary, Magic and Herb range.Each label in this range is designed, aged and printed by us producing highly detailed unique miniatures that make any scene look special.This label is printed on photo quality self adhesive vinyl allowing you to apply this miniature label to any miniature with the minimum of fuss. 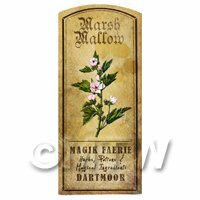 Product ID: 15213 This Herb label is part of our vast range of apothecary, Magic and Herb range.Each label in this range is designed, aged and printed by us producing highly detailed unique miniatures that make any scene look special.This label is printed on photo quality self adhesive vinyl allowing you to apply this miniature label to any miniature with the minimum of fuss. 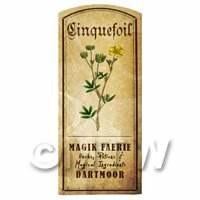 Product ID: 15214 This Herb label is part of our vast range of apothecary, Magic and Herb range.Each label in this range is designed, aged and printed by us producing highly detailed unique miniatures that make any scene look special.This label is printed on photo quality self adhesive vinyl allowing you to apply this miniature label to any miniature with the minimum of fuss. 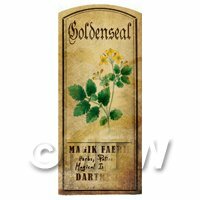 Product ID: 15215 This Herb label is part of our vast range of apothecary, Magic and Herb range.Each label in this range is designed, aged and printed by us producing highly detailed unique miniatures that make any scene look special.This label is printed on photo quality self adhesive vinyl allowing you to apply this miniature label to any miniature with the minimum of fuss. 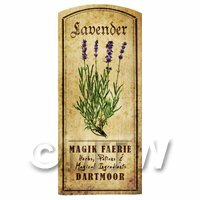 Product ID: 15216 This Herb label is part of our vast range of apothecary, Magic and Herb range.Each label in this range is designed, aged and printed by us producing highly detailed unique miniatures that make any scene look special.This label is printed on photo quality self adhesive vinyl allowing you to apply this miniature label to any miniature with the minimum of fuss. 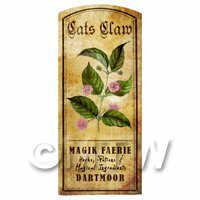 Product ID: 15217 This Herb label is part of our vast range of apothecary, Magic and Herb range.Each label in this range is designed, aged and printed by us producing highly detailed unique miniatures that make any scene look special.This label is printed on photo quality self adhesive vinyl allowing you to apply this miniature label to any miniature with the minimum of fuss. 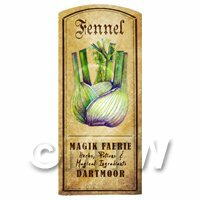 Product ID: 15218 This Herb label is part of our vast range of apothecary, Magic and Herb range.Each label in this range is designed, aged and printed by us producing highly detailed unique miniatures that make any scene look special.This label is printed on photo quality self adhesive vinyl allowing you to apply this miniature label to any miniature with the minimum of fuss. 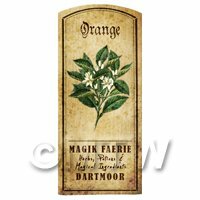 Product ID: 15219 This Herb label is part of our vast range of apothecary, Magic and Herb range.Each label in this range is designed, aged and printed by us producing highly detailed unique miniatures that make any scene look special.This label is printed on photo quality self adhesive vinyl allowing you to apply this miniature label to any miniature with the minimum of fuss. 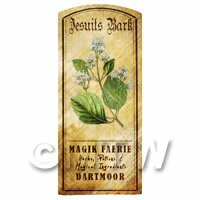 Product ID: 15220 This Herb label is part of our vast range of apothecary, Magic and Herb range.Each label in this range is designed, aged and printed by us producing highly detailed unique miniatures that make any scene look special.This label is printed on photo quality self adhesive vinyl allowing you to apply this miniature label to any miniature with the minimum of fuss. 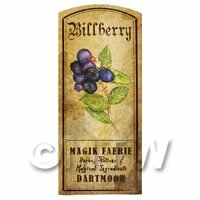 Product ID: 15221 This Herb label is part of our vast range of apothecary, Magic and Herb range.Each label in this range is designed, aged and printed by us producing highly detailed unique miniatures that make any scene look special.This label is printed on photo quality self adhesive vinyl allowing you to apply this miniature label to any miniature with the minimum of fuss. 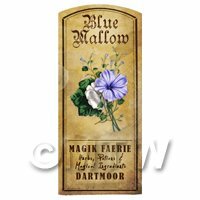 Product ID: 15222 This Herb label is part of our vast range of apothecary, Magic and Herb range.Each label in this range is designed, aged and printed by us producing highly detailed unique miniatures that make any scene look special.This label is printed on photo quality self adhesive vinyl allowing you to apply this miniature label to any miniature with the minimum of fuss. 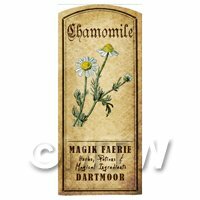 Product ID: 15223 This Herb label is part of our vast range of apothecary, Magic and Herb range.Each label in this range is designed, aged and printed by us producing highly detailed unique miniatures that make any scene look special.This label is printed on photo quality self adhesive vinyl allowing you to apply this miniature label to any miniature with the minimum of fuss. 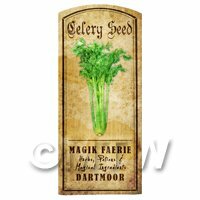 Product ID: 15224 This Herb label is part of our vast range of apothecary, Magic and Herb range.Each label in this range is designed, aged and printed by us producing highly detailed unique miniatures that make any scene look special.This label is printed on photo quality self adhesive vinyl allowing you to apply this miniature label to any miniature with the minimum of fuss. 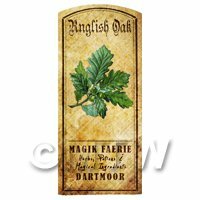 Product ID: 15225 This Herb label is part of our vast range of apothecary, Magic and Herb range.Each label in this range is designed, aged and printed by us producing highly detailed unique miniatures that make any scene look special.This label is printed on photo quality self adhesive vinyl allowing you to apply this miniature label to any miniature with the minimum of fuss. 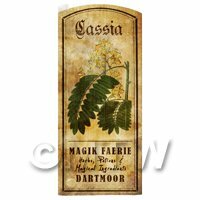 Product ID: 15226 This Herb label is part of our vast range of apothecary, Magic and Herb range.Each label in this range is designed, aged and printed by us producing highly detailed unique miniatures that make any scene look special.This label is printed on photo quality self adhesive vinyl allowing you to apply this miniature label to any miniature with the minimum of fuss.